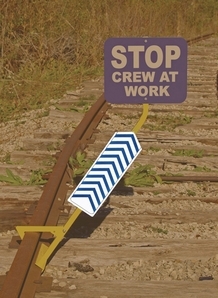 Aldon 4015-180 Sign Helper 4" x 18"
4" x 18" aluminum sign plate with angled lines makes your OSHA signs much more visible. Retro-reflective blue and white stripes. Product Reviews for Aldon 4015-181 Sign Helper 4" X 18"